The design of our emblem was taken from the emblem of our parent organization, but is oval in shape so as to be easily distinguished. 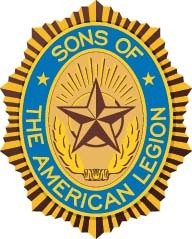 The sun in the background represents the Sons of The American Legion and the rays represent the loyalty of its membership. The blue of the emblem, like the blue of our flag, stands for justice. The two stars in the blue border stand for freedom and democracy. The wreath below the star is in memory of our comrades, and those of our fathers who willingly gave their lives for their country. 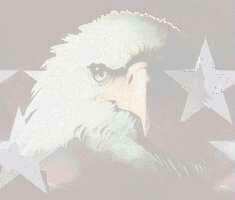 Patriotism, Health, Knowledge, Training, Honor, Faith, Helpfulness, Courtesy, Reverence and Comradeship.